A lot of things can happen in life to create a scenario where you might think you do not need auto insurance for a period of time. A great rule of thumb in the insurance industry is to never let your car insurance lapse, even for a short period of time. Learn common reasons why car insurance policies lapse, why you should avoid a lapse if possible, what to do if you have a lapse, and the time when it is ok to go without car insurance. 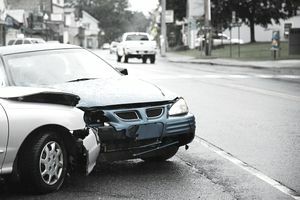 Several of the reasons for lapse listed above may seem like legitimate reasons for canceling your auto insurance, but the consequences are severe. It can be especially dangerous if the reason for lapse is one of the first two. Forgetting to pay your bill or not having the money implies you may still be driving your vehicle. If that is the case, extremely serious problems can come up if an auto accident occurs. If you no longer have a vehicle or choose not to drive it for a period of time you will still incur penalties. Look for ways to avoid a lapse if possible. Car insurance should be high on your priority list. Borrow money from a family member, sell some items or use a credit card to make your payment within your grace period. Reduce coverage, talk to your agent to find out ways to save on your policy, or shop for lower rates if money is the problem. If you are without a car for a period of time, see if you can be listed as a driver on a family member’s policy. If you’re transitioning between vehicles or your car is out of commission due to repairs, carry insurance on your old vehicle just until you make your new purchase or repair your vehicle. It could save you hundreds of dollars. If you have had a good standing with your insurance provider, for example, have never lapsed before and have not recently had multiple claims, you have a good chance of being reinstated. It is possible to incur a surcharge for lapsing; however, it will still be cheaper than going with a high-risk carrier. Being listed as a driver on a family member or friend’s policy is a great option for someone without a vehicle. As long as you are listed as a driver on an insurance policy, you will not be treated as high-risk when getting insurance in your own name. There are almost always exceptions to rules. Only a few reasons for going without insurance are allowed. And most of the exceptions come with stipulations. Military workers have the easiest time obtaining insurance without prior coverage due to deployment or training on base. Newly licensed youth drivers can still have a difficult time finding coverage with a preferred carrier if they do not have a parental supporting policy. The only chance a motorcycle rider has is getting preapproval from their auto insurance carrier. Exceptions for motorcycle riders have come about due to the tough economy and drivers downsizing to a motorcycle; however, do not expect this one to work with every carrier. When money is tight or you are without a vehicle, it may seem like a good idea to cancel your car insurance, but it never is. Not only is driving without insurance against the law, but it can be very costly to you and the general public. Do not forget this important rule of thumb and never let your car insurance lapse.